A tragic outcome, as there are proven, non-violent methods to keep the wolves away from ranches, such as the ancient Turkish Akbash dog. This is a mastiff-sized white livestock guardian animal brought back to ranches around the world after it was discovered that predators would not approach herds where the dogs were in use. The NRDC is seeking an injunction on these killings in federal court and is asking interested citizens to sign their petition to Congress to stop the wolf killings and poisonings, another assault on the wolves that has emerged in what begins to look like a free-for-all against this increasingly small population. Recently, the Bush Administration stripped endangered species protection from gray wolves in Greater Yellowstone and the Northern Rockies. These wolves face a range of threats, including the use of two toxic chemicals in government-run predator control programs. 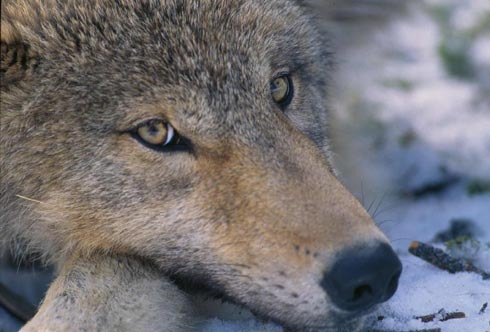 Please ask your Representative to support HR 4775, a bill banning two deadly poisons that kill gray wolves and many other wildlife species. The NRDC's Action Fund's petition is here.